Kuching’s umbrella-roofed state legislative building and historic Fort Margherita sit side by side above the Sarawak River. The rapids are fierce on this stretch of Sarawak’s Rajang River, bouncing us around like kids on a trampoline. As our low-slung ferry plows tenaciously through the white water, I eyeball the few grubby life jackets stuffed in overhead bins and wonder how long it might take me to swim ashore should the need arise. “Check it out: Borneo has crocodiles,” my travel companion, Mike Bossick, reads from a guidebook, apparently oblivious to our current predicament. Maybe 12 hours aboard three separate boats has cultivated a measure of complacency in the man. At 65, Bossick is a seasoned wayfarer, so perhaps he’s seen worse. Or perhaps, being Californian, he just knows how to keep it cool. Finally, the rapids dissipate, and we can again take pleasure in the passing jungle scenery as the ferry cruises upstream to Belaga. The Rajang is the longest river in Malaysia, flowing more than 560 kilometers from the remote Iran Mountains of Borneo’s interior to the South China Sea. It’s been called “Borneo’s Amazon,” and the moniker is apt. 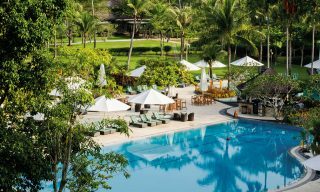 On either side of us, a green forest canopy cascades down the hillsides, filling the air with the smell of warm vegetation. The waters are caramel-colored, as if discharged from Willy Wonka’s chocolate factory. Save for the occasional logging station, the world of man feels like a distant thing. A bowl of Sarawak laksa. My stomach starts to rumble. It’s past noon and there’s no food aboard the ferry beyond some pungent durian my fellow passengers are snacking on. When a small settlement emerges in a clearing up ahead, I climb onto the deck to digest the scene. As we get closer, I realize it’s our first view of one of Sarawak’s fabled longhouses, and the prospect of an authentic Dayak meal becomes an enticing reality. Like more and more people these days, I make my nest in a megacity. Yet while I bask in the opportunity-rich neon glow of Beijing, the urban jungle often jars with my inner ape. Perhaps it’s a feeling stirred in the gut of most city dwellers whenever lost in a mall or surveying a vista of concrete. So when winter arrives, I make it a point to seek respite in warmer climes. Which is how I ended up on an extended sojourn earlier this year in Kuching, a destination that promised both a tropical idyll and—thanks to the culinary traditions of its Dayak (the umbrella term for Borneo’s indigenous peoples), Chinese, and Malay inhabitants—the perfect antidote to my bland North China diet. The Commons, a restaurant at the old Courthouse complex in Kuching. The palm-festooned capital of the East Malaysian state of Sarawak lies 30 kilometers inland from the Borneo coast. Like all the major settlements on the island—which Malaysia shares with Indonesia and Brunei—a river defines it. 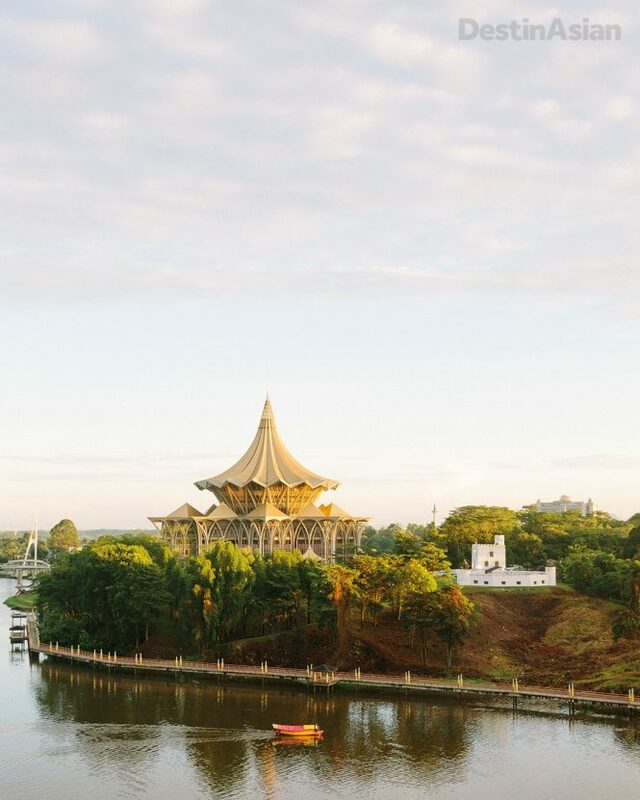 Unlike most of them, however, Kuching is a charming and laid-back place anchored to the past by the remnants of its colonial-era architecture. The city is centered on a spattering of gorgeous colonial buildings that flank the Sarawak River. These are the vestiges of the Brooke family, the so-called “White Rajahs” who ruled the Kingdom of Sarawak from 1841 until 1946. 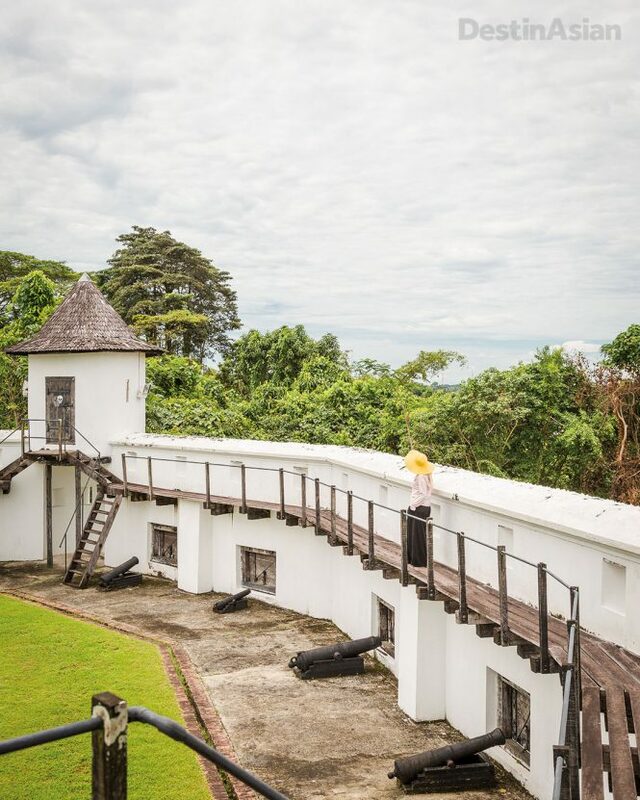 Presiding over the north bank of the river is the Brookes’ stately palace, the Astana, and Fort Margherita, built in 1879 and now a museum that chronicles Sarawak’s colonial past. On the opposite bank, downstream from the multistory office buildings of Kuching’s business district, stands an odd little citadel called the Square Tower (once used as a prison) and the Old Courthouse complex. The latter, completed in 1874, now houses a fancy whisky bar and a bright, roomy café called The Commons, where one can enjoy afternoon tea on the veranda. The British may have left behind their landmark buildings, but it’s the mercantile southern Chinese that dominate the downtown area. There is not one but two Chinatowns, the old and new (though both are pretty old), located about a kilometer apart. Porcelain unearthed near Kuching suggests the Chinese have been trading here since the sixth century. But it was some centuries after those pioneer seeds were sown that their communities actually blossomed. According to the Chinese History Museum, housed in a century-old former law court near the Main Bazaar, there were three major waves of migration, beginning in the 19th century when Hakka Chinese who’d been living in Kalimantan (Indonesian Borneo) crossed into Sarawak. 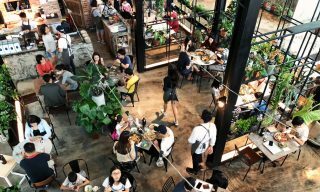 Migrants from Fujian and Guangdong followed, each group bringing with them their own traditions that are still expressed today in a myriad of dialects and, of course, the diversity of food on offer. Indeed, I eat at so many Chinese canteens during my first week in Kuching that my taste buds don’t even know I’ve left China. Among my favorite haunts are Zhen Xiang Zhai, a Cantonese-style Buddhist joint that serves sumptuous spring rolls and a revitalizing tofu soup; and Life Café, which is decorated with faux-Ming decor and specializes in tongue-tingling Sichuan fare chased down with classic Chinese teas like Iron Buddha. 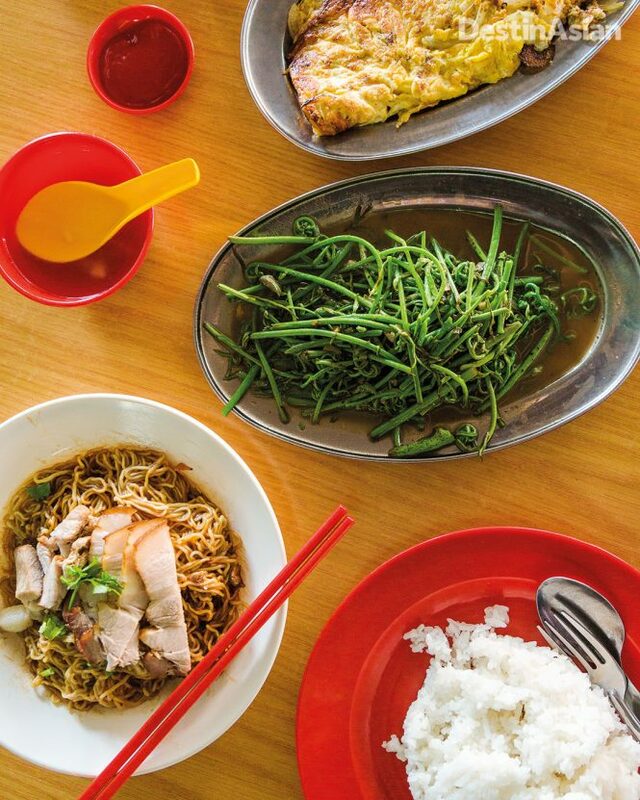 And everyone seems to offer Sarawak’s two best-loved noodle dishes. 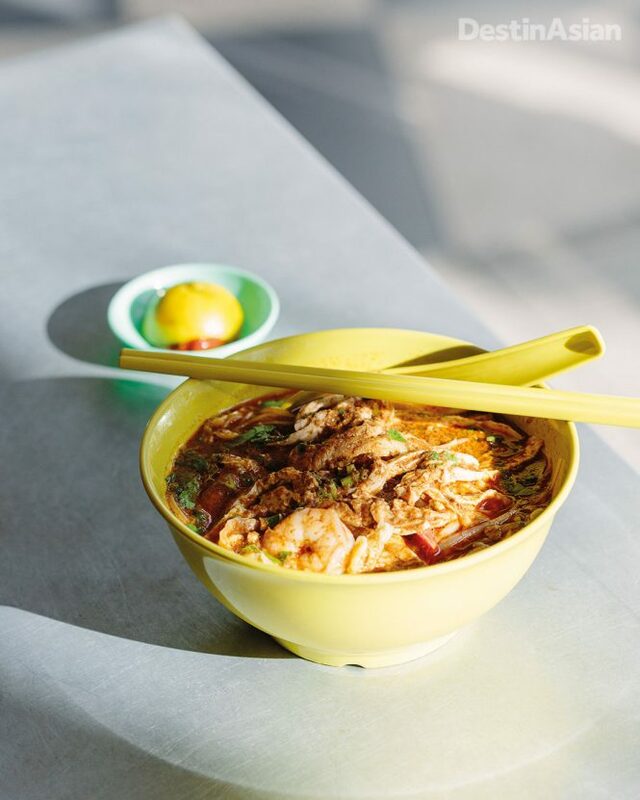 One is Sarawak laksa, a sweet-sour take on Peranakan vermicelli soup whose addictive coconut-milk base is imbued with galangal, lemongrass, tamarind, and sambal belacan; Anthony Bourdain once dubbed it the “breakfast of gods.” The other is kolo mee, a ubiquitous lunchtime noodle dish tossed in pork lard and shallot oil and topped with spring onions and slices of barbecued pork. Kolo mee, midin fern with garlic, and an onion omelet at the Central Market food court in Sibu. It’s almost by accident that I encounter a staple of the Dayak diet. I’m wandering through a food court located between the textile market on India Street and the Kuching City Mosque when I pass a stall frying up some mysterious legumes du jour. These turn out to be the buds of an edible wild fern known as midin. It’s a strange looking plant with a head of curly leaves that appears to me like some caterpillars clinging to a shoot. Served in a salad with dried shrimp, shallots, and a squeeze of citrus juice, the taste is peaty and invigorating, reminding me of greens like broccoli or kale. They are quickly perishable too, which means you have to visit Sarawak to taste this remarkable rain forest delicacy. Ayam pansuh terung asam soup, purple rice, and stir-fried cassava leaves at Kuching’s Lepau restaurant. The lesson begins with the carnivorous attendees marinating chicken in local spices, while the herbivores snap sticks of dried bean curd to blanch in water. Next, and somewhat counter-intuitively, dessert is made. 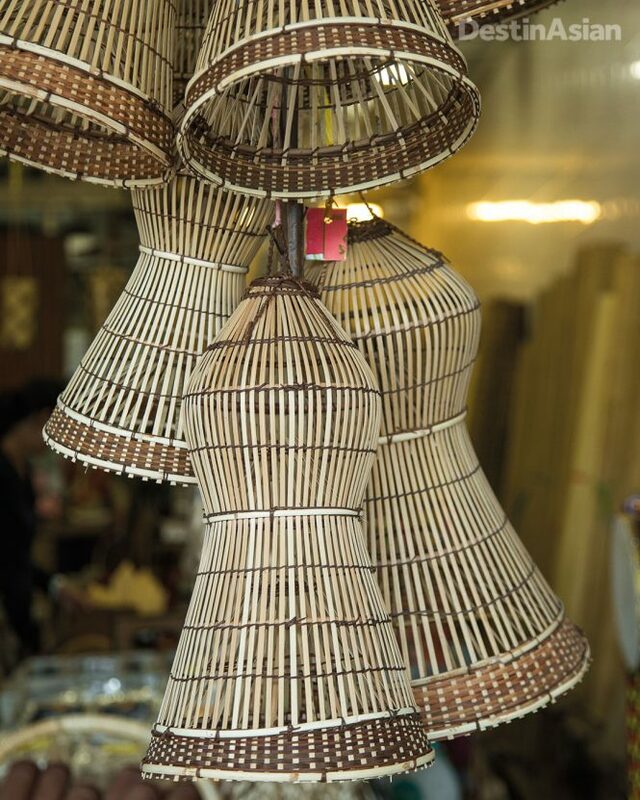 Joseph shows us how to shape pandan leaves into little baskets. We then mix pea flour, sugar, and coconut milk to make a pudding known as kuih tako, which is placed in the baskets to be refrigerated. market to shop for ingredients. It’s a weekend, which means the Dayak vendors are out in force and Joseph has ample opportunity to show off his encyclopedic knowledge of local produce. “This is jackfruit, that’s betel nut, and we call this one Dutch durian,” he says, pointing to various fruits. He shows us how to pick out good-quality fern, how to identify different edible roots, and where we can get our coconut shredded. It’s a crash course in Borneo botany as much as a shopping trip. Back at Bumbu we’re taught how to prepare the fern and the traditional process of mixing curry leaves, cinnamon bark, and lemongrass to add zest to the vegetables, bean curd, and meat. After an hour or so, our kitchen toil is rewarded with a lunch of Sarawak-style curry, fern pan-fried with a piquant sambal, followed by the tako and slices of fresh pineapple. On the ramparts of Fort Margherita. 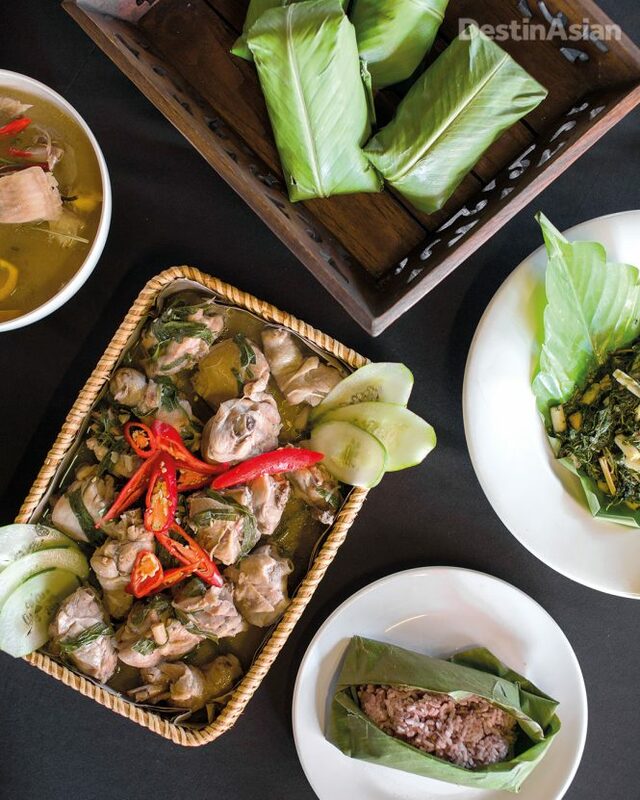 Hungry for more, I eventually find my way to Lepau, an award-winning restaurant run by a Kayan family located not far from the city center. It’s rustically furnished and hums with the plucky sounds of Dayak music, and the menu is a revelation. There’s fragrant purple rice wrapped in banana leaf; ayam pansuh, a dish of chicken meat cooked in a bamboo stalk and served in an aromatic broth; anchovies with tempoyak, a condiment made from fermented durian; stir-fried cassava leaves; and a sumptuous fish soup brimming with fresh tilapia and terung Dayak, or hairy-fruited eggplant. A few days later, I’m joined by my friend Mike Bossick. 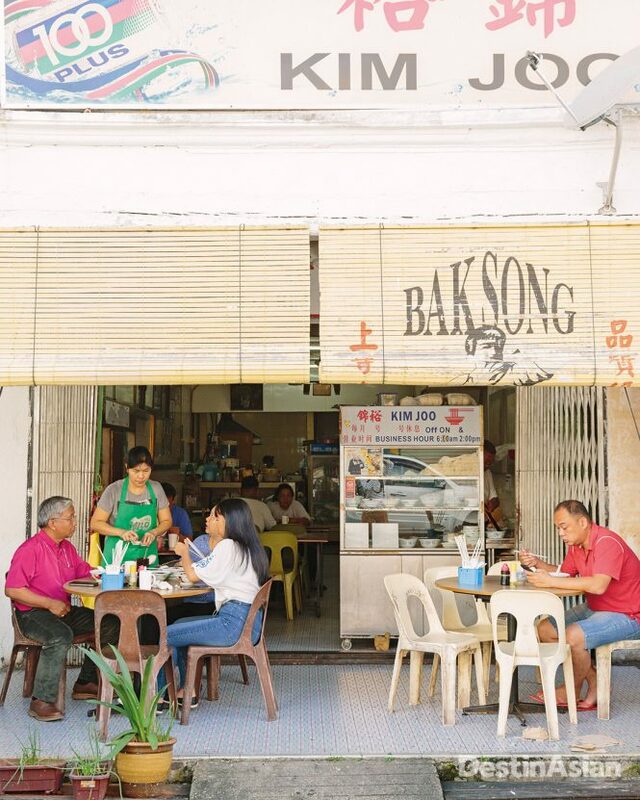 A copy editor based in Shenzhen, he’s flown into Kuching for some R&R of his own. To welcome him to Sarawak, I book a table at Lepau. 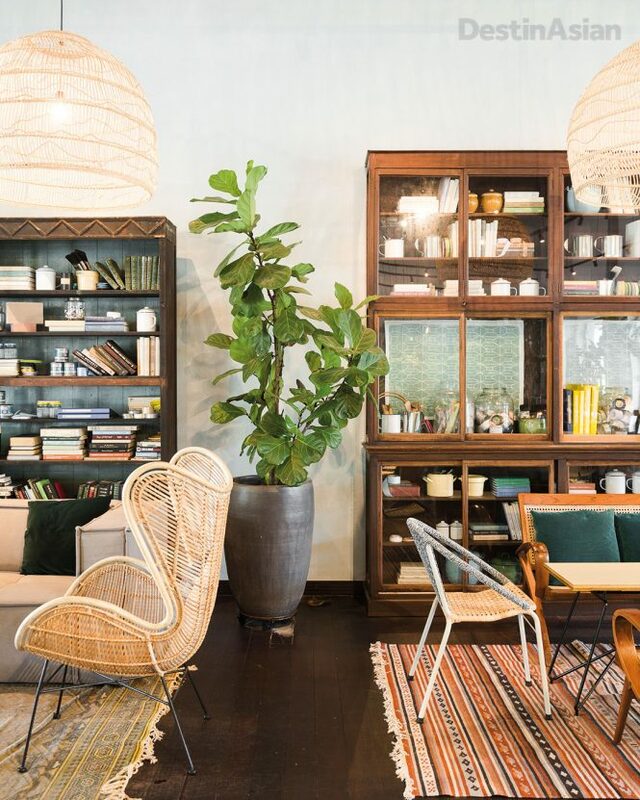 Bossick is soon impressed as he browses a menu of dishes he doesn’t recognize—not a given for someone who grew up in multicultural Los Angeles. “Dude, I’m in,” he slurs. A view of the Rajang River from Sibu’s waterfront. Named after the local sibau fruit, Sibu, our first port of call, lies five hours northeast of Kuching by ferry. 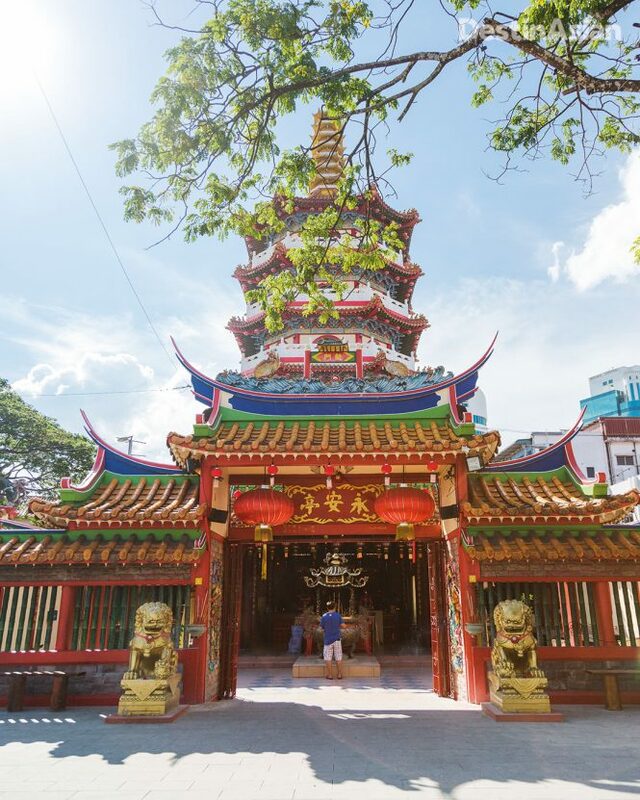 The seven-tiered Guan Yin Pagoda looms like a mystic lighthouse above the riverbank, a reminder that Sibu, even more so than Kuching, has strong Chinese roots. An exhibition of old photographs and artifacts in the upper floors of the pagoda relates that James Brooke established a fort here at the strategic confluence of the Rajang and Igan rivers in 1862, but it wasn’t until 1901 that a flood of immigrants from Fuzhou showed up in force, lured by the opportunities afforded by the Brooke dynasty’s prospering economy. Walking through the night market I spot dishes I haven’t seen since I visited Fuzhou to update The Rough Guide to China: fish-ball soup, pork noodles, steamed buns. The only divergence from the original formula is that the latter are stuffed with coconut. Sibu’s massive wet market, however, offers an enticing promise of the culinary curios awaiting us upstream. Beyond the fish stalls and the counters where live ducks and chickens lie wrapped in tubes of newspaper, we wander amid stalls vending a plethora of fruits and vegetables, many of which we don’t recognize. “This doray,” says one vendor in broken English, pointing at a green mound of wild spinach. “This paku fern, from deep in forest. You buy for father?” he asks, gesturing toward Bossick. The following day we board an express ferry for the two-hour sprint to Kapit, an inland market town established by Charles Brooke in 1880, as the riverside Fort Sylvia testifies. There’s not a great deal to distract us here other than a frontier vibe and another lively market, this time dominated by Iban people. Navigating the stalls, I procure a plethora of fruits I’ve never sampled before, including the refreshing heart-shaped rose apple and sour senggang (torch-ginger fruit), which look like garlic but taste more like kiwi fruit. Kolo mee institution Kim Joo in Kuching. At dusk, when the swiftlets congregate overhead, we meet Daniel Leroh, a former headmaster from the remote town of Belaga who is in Kapit for a conference. He’s able to connect us with one of his colleagues, a retired English teacher named Medik Aojan, who promises to take us for lunch at an actual longhouse. Rapids aside, the five-hour Belaga leg of our journey on the Upper Rajang is spellbinding, and I feel a tad disappointed as we climb ashore at Belaga’s jetty. But Bossick and I are soon on the water again, this time aboard Aojan’s own boat, a coffin-shaped motorized canoe barely large enough to accommodate us. The craft threatens to capsize as we climb aboard, and it’s not until we’re surging downstream that the momentum creates some stability. 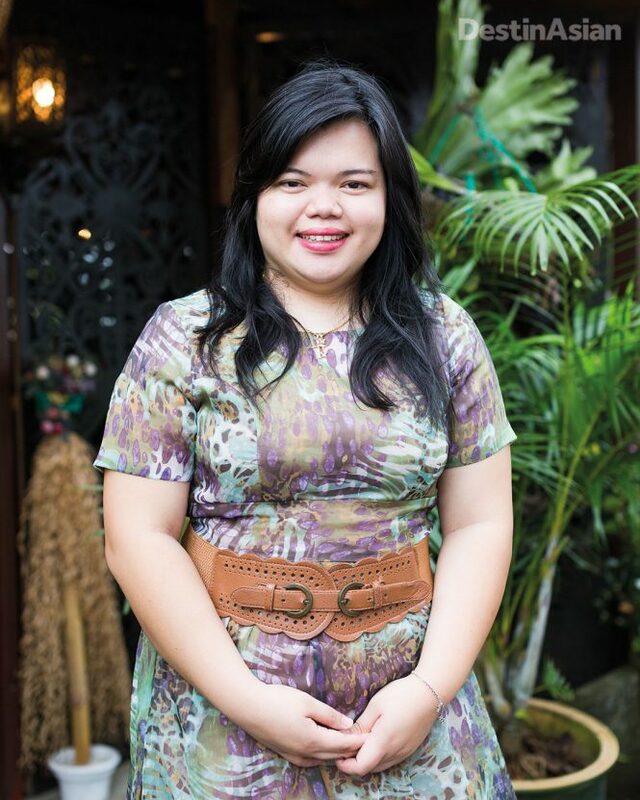 Marichelle Livan Lah, owner of Kuching’s Lepau restaurant. Twenty minutes after setting out, Aojan brings us ashore at the Kenyah village of Long Dungan, where he persuades the local pastor and his wife to rustle up lunch. The longhouses here are more modern than some of the bamboo structures we’ve seen, with concrete walls, corrugated-iron roofs, and electricity delivered after dark by a generator. Only the elderly residents are tattooed. Yet despite some trappings of modernity, the tradition of communal living is maintained. While the pastor’s wife begins cooking, Aojan and I tour the village. Outside the house, clusters of Sarawak peppercorn dry in the sun. The village is not big but the diversity of edible plants growing around the longhouses suggests why agriculture came late to the Dayak. Lime, papaya, coconut, and pineapple are found in people’s backyards. Lemongrass and edible ferns grow wild. “Like weeds, they are everywhere,” Aojan explains. The seven-story Guan Yin Pagoda in Sibu. It’s a sobering conclusion to our culinary quest and one I dwell on as we dine. The pastor’s wife dishes up egg-fried cangkok manis, yam with ginger, and a soup featuring the Dayaks’ preferred meat, wild boar. These are ingredients plucked straight from an Arcadian jungle. But a road is coming soon to Belaga and despite brave court battles, logging remains rampant. 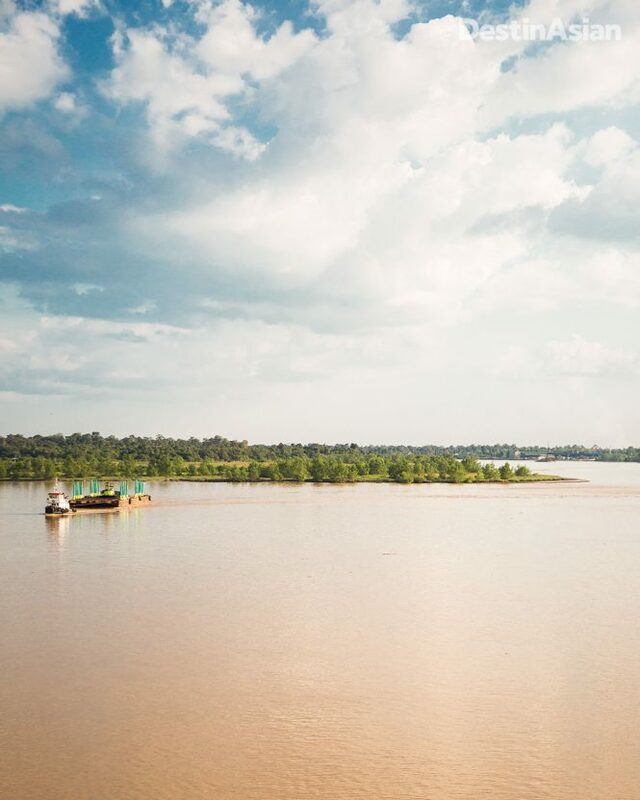 The Rajang River might be a spectacle to sail up and savor while you still can. Kuching is connected by regular daily flights to Singapore and Kuala Lumpur. AirAsia also flies between Kuching and Sibu, which takes considerably less time than the five-hour ferry ride. 395 Jl. Ban Hock; 60-82/242-160. Joseph Daniel’s cookery classes are held at 57 Carpenter Street; you’ll need to book in advance via 60/19-879-1050 or bumbucookingclass .weebly.com. 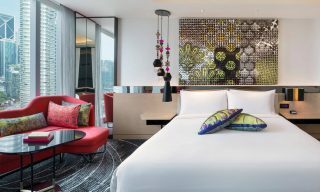 Dominating the Kuching skyline since 2010, this 389-room behemoth has all the facilities you’d expect from a five-star chain hotel. 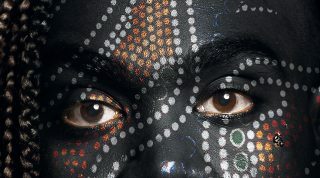 60-82/222-888; doubles from US$70. For something more intimate, book one of the 24 suites at The Ranee, located right near the waterfront in Kuching’s old quarter. The Old Courthouse complex is just a few doors down. 60-82/258-833; doubles from US$80. Perhaps the best of Sibu’s unexceptional hotels, with 220 rooms and a good downtown location. This article originally appeared in the June/July 2018 print issue of DestinAsian magazine (“Savoring Sarawak”).